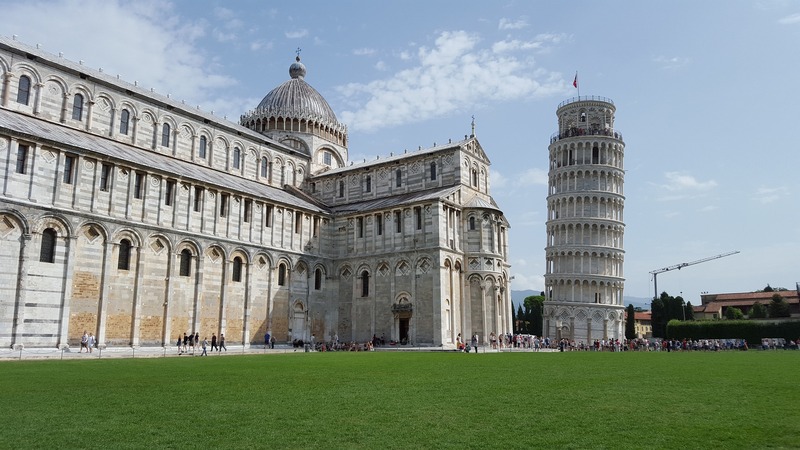 The Leaning Tower of Pisa is definitely not the only lopsided building around… in this post, we explore the issues behind lopsided structures. Bologna is home to a great many towers; it’s thought that during the Medieval era, as many as 100 stood throughout the city as status symbols. The two most prominent towers were built in the 12th century, possibly as a competition between two families to show who was more powerful. They both tilt, perhaps due to softening ground. The taller tower, Asinelli, is 67m tall, while the smaller tower, Garisenda, stands at 48m. Garisenda, which is mentioned in Dante’s Divine Comedy, was originally around 60m, but slanted so badly that it had to be lowered! The Leaning Tower of Suurhusen is the world’s most leaning tower that was unintentionally tilted: it leans at an impressive 5.19 degrees. It’s thought the tilt was caused by the marshy ground beneath the church, which was drained in the 19th century, thus causing rotting of the church’s oak foundations. Made stable in the 1970s, the Suurhusen church is open to the public. The Temple Gate Tower in Abu Dhabi was actually designed to tilt! The mixed-use skyscraper tilts at 18 degrees and was built using steel-reinforced concrete and 490 piles. It holds a Guinness World Record for the farthest manmade leaning building. The mosque of al-Nuri in Mosul, Iraq, was built around the 12th century. It underwent many renovations, but none of them changed the mosque’s leaning minaret, which earned Mosul the nickname ‘hunchback’. It’s thought the tilt was caused by a combination of sun, north-westerly winds and weak gypsum holding the bricks together. Unfortunately, the mosque was completely destroyed by ISIS in the Battle of Mosul in 2017. We couldn’t have a post about leaning towers without including the most famous: Italy’s Leaning Tower of Pisa! Construction started in the 12th century and the tower began to tilt almost immediately due to soft ground. The tower’s tilt was at 5.5 degrees until restoration work between 1990 and 2001 improved the tilt to about 3.99 degrees. The most famous lopsided building in the world, the tower’s future has been taken very seriously over the years. In 1964 a task force of mathematicians, engineers and historians met in the Azores to discuss the best way to stabilise the tower! In 2018, it was straightened by a further 4cm. Do You Have a Lopsided Property? If your property leans or is lopsided in any way, you many need a professional measured survey to establish the building’s exact measurements so you can decide how to proceed.